Orign’Art project started in 2008. 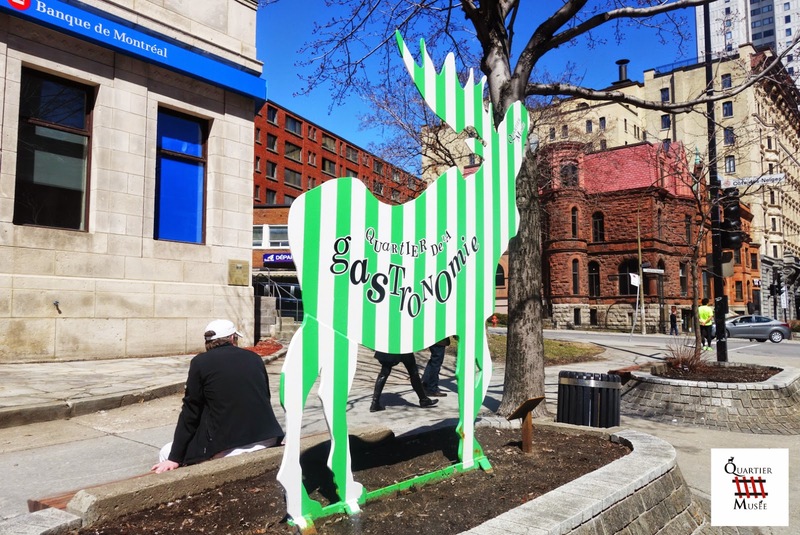 Eight moose are along Sherbrooke Street W., between St Mathieu and Drummond. Inspired by various urban art projects, Orign’Art was able to provide a thoughts on art by displaying quotes from great personalities and artists. Today, moose are the identity of the Quartier du Musée and allow to know the commercial offers of this historic area. In addition to its visual side, Orign’Art brings to Montreal and the Quartier du Musée artistic and entertainment value! The eight moose are made to last over time: in fact, the project will change the design according to the seasons, events, etc. Why not put up a talent contest to select the next topic? Ideas abound, and there are many inspirations in the Quartier du Musée. Art, travel, fashion, galleries, gastronomy, beauty and jewelery resonate in the neighborhood! If you like moose, take them in photos, alone or selfies and post your best photos on social networks! The more photos (#orignart), the more likely that this ongoing project to evolve and surprise you in the future!